This is a place you should visit at least once in your life: the only way to truly admire the beauty of this place and perceive its charm is in person. Neptune’s grotto is one of the largest marine caves in Italy and one of the most captivating gems of nature in the Mediterranean. 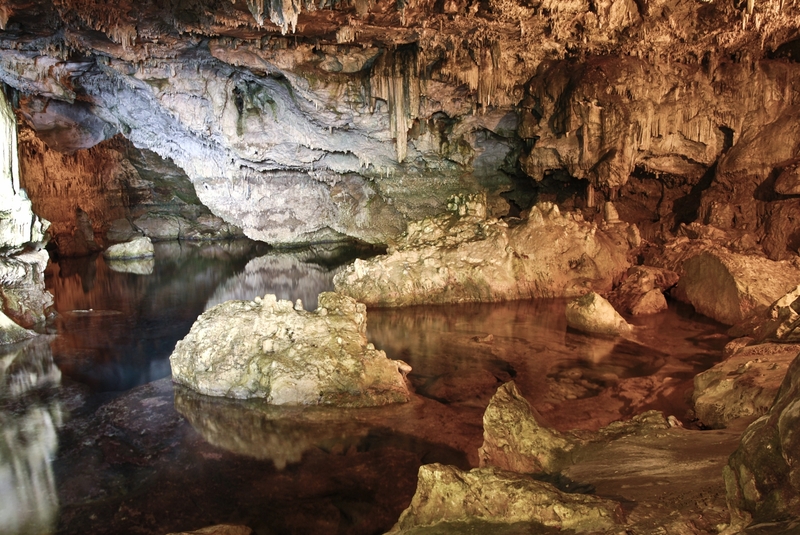 The grotto was formed about two million years ago: inside, you will see rooms with astounding karst formations, a white sandy beach and a huge underground lake. The Coves de Neptú (in Catalan language) was discovered by a fisherman in the 18th century and soon became a tourist attraction. It extends horizontally for about four kilometres on the same level as the surface of the sea. Neptune’s grotto is located 24 km from Alghero and is the pride and joy of the marine protected area of Capo Caccia-Isola Piana, inside the Porto Conte Park. 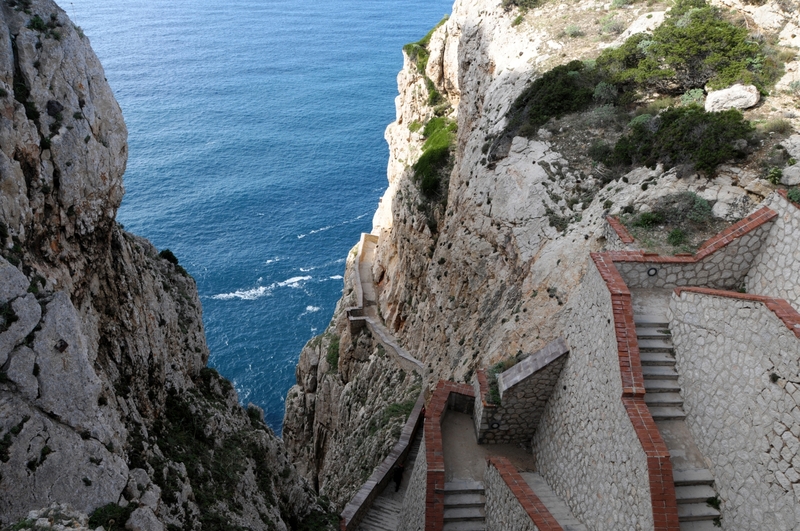 You will reach the entrance by going down the Escala del cabirol, ‘Roe deer’s steps’ (in Catalan language): 654 steps clinging onto the western ridge of the promontory of Capo Caccia as far as the mouth. Otherwise, you can get there in greater comfort by sea, on the boats that depart daily from the tourist port of the Catalan town or from the pier of Cala Dragunara in Porto Conte, allowing you to enjoy the spectacular sight of the cliffs overlooking the sea. Along the way, you will be thrilled by the countless wonderful views of the Riviera del Corallo. The tourist route through the caves extends for about one kilometre. The entrance is a passage covered by concretions of vegetation and dense with stalactites and stalagmites. A line of columns nine metres high will take you to the crystal clear salty waters of Lake La Marmora, one hundred metres long at the maximum point and nine metres deep. From here, you will begin to see a lovely sandy beach, once completely covered in pebbles. Standing in the centre, there is a holy water font, a monumental stalagmite on top of which there are little basins that act as a source of drinking water for birds nesting nearby. 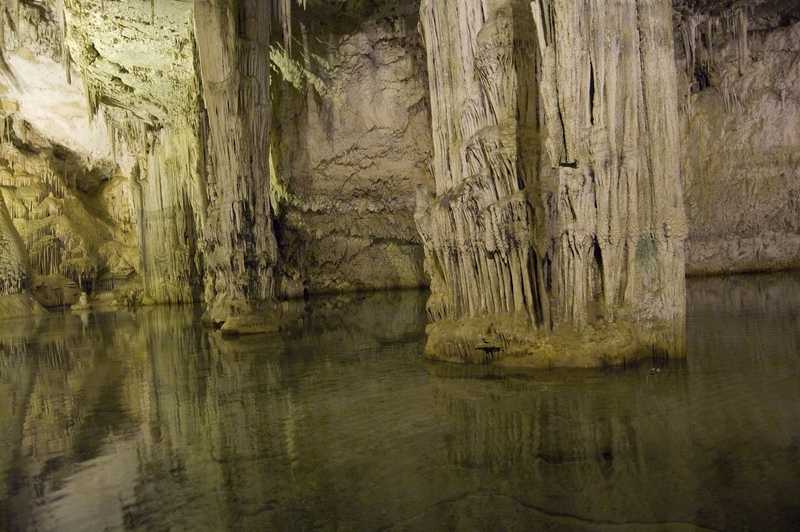 On the bottom of the lake, a distinctive stalagmite formation called the ‘Christmas tree’ stands out between large flowstones and calcitic festoons. A short, slightly downhill path takes you to the Room of the ruins and then to the majestic Palace room, revealing the most evocative scenario: an 18-metre tall column rises up to the vault and forms two spectacular arches, which look like they’re holding up the ceiling. Next, there is the Smith room (or the Organ room), dedicated to an English captain, who was one of its earliest explorers (19th century). In the centre of the room, you will see the great organ, the largest column in the entire grotto with rockflows resembling organ pipes. Following on is the Lace room, adorned with small columns. The tour ends with a visit to the Music stand, a balcony overlooking the ‘palace’, the lake and the beach. In addition to welcoming an average of 150,000 visitors each year, the caves are visited by numerous speleologists, the only ones able to enter the deepest and most secret ravines reserved to expert speleologists, namely the Lake of mushrooms and, through the underground tunnel, to the huge room hosting the Crescent lake, which is 70 metres long and 50 metres deep. The caves were used as a film set: in 1978, ‘Island of the Fishmen’ was filmed there, with scenes that remind you of stories by Jules Verne. 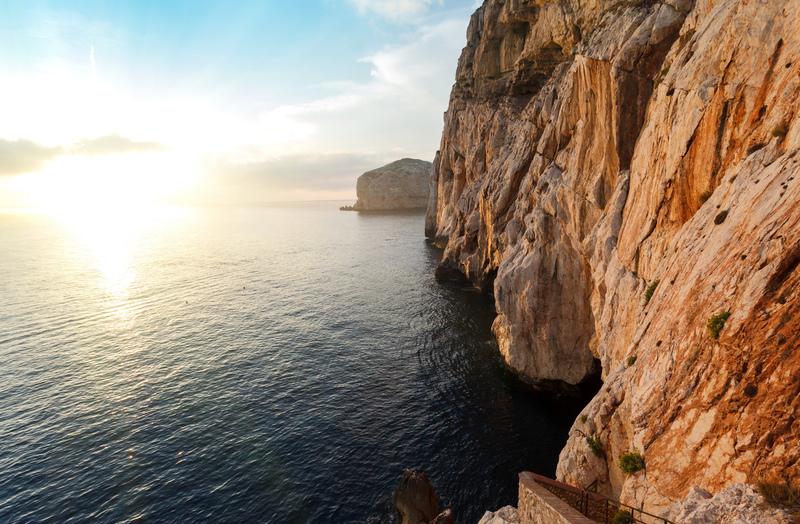 On the cliffs of Capo Caccia, a popular destination for climbing and diving enthusiasts, other fascinating caves open up. 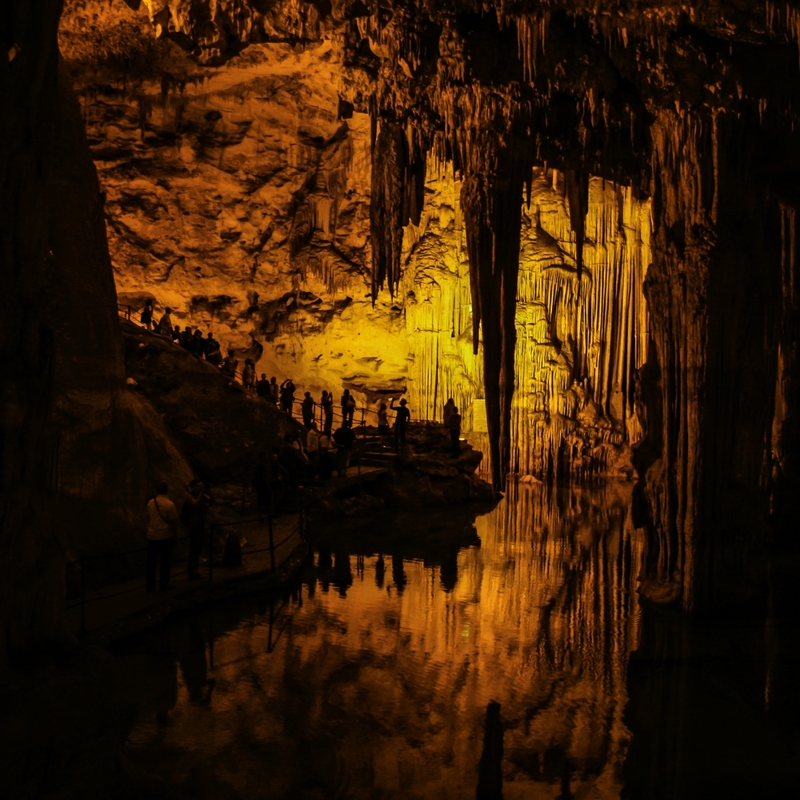 Nearby you will find the Cave of lace and embroidery, while the most famous is the gigantic Green Cave, also called ‘Cave of the altar’. Only expert ‘cave divers’ can visit its rocky walls. A little lake on the bottom provides a greenish light. Its rooms, which were once dry, were a place of worship and a burial site from the 6th millennium BC to the Middle Ages. 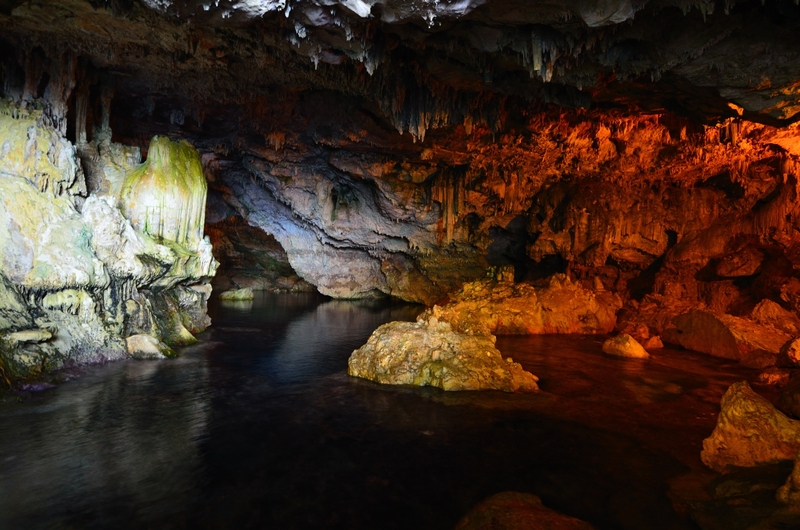 In the vast underwater karst system, Nereo’s cave stands out. It is the largest underwater cave in Europe and a place for unforgettable diving. 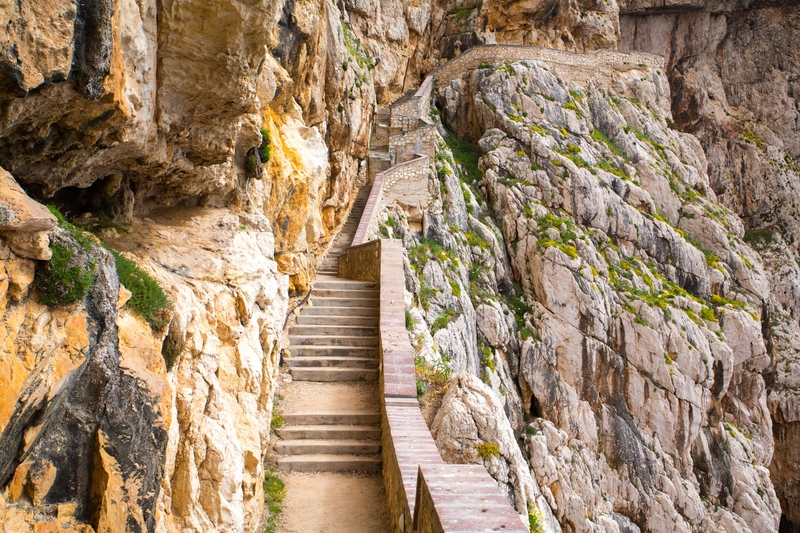 In front of Capo Caccia there is the island of Foradada (meaning ‘pierced), which gets its name from a tunnel that ‘pierces’ it as it crosses it from end to end, with the Cave of Pidgeons.